Whoosh! The unexpectedly exhilarating experience of standing on the kerb as more than a hundred cyclists raced past less than an arm’s length away during Stage 1 of the Tour of Britain on a beautifully hot sunny day. We had walked from our house down to the finish line adjacent to Liverpool’s waterfront and watched from behind crowd-control barriers as the riders raced past on a couple of the eight laps of the course around the city. The crowds, big screens and team buses at the finish line created a party atmosphere; however it was much more exciting being close enough to feel the riders’ slipstream when we watched in the quieter street next to Cain’s Brewery where there were no barriers and fewer spectators. It was thrilling on the last lap when the pelaton caught up with break away leaders and they all sped downhill in a single charge. 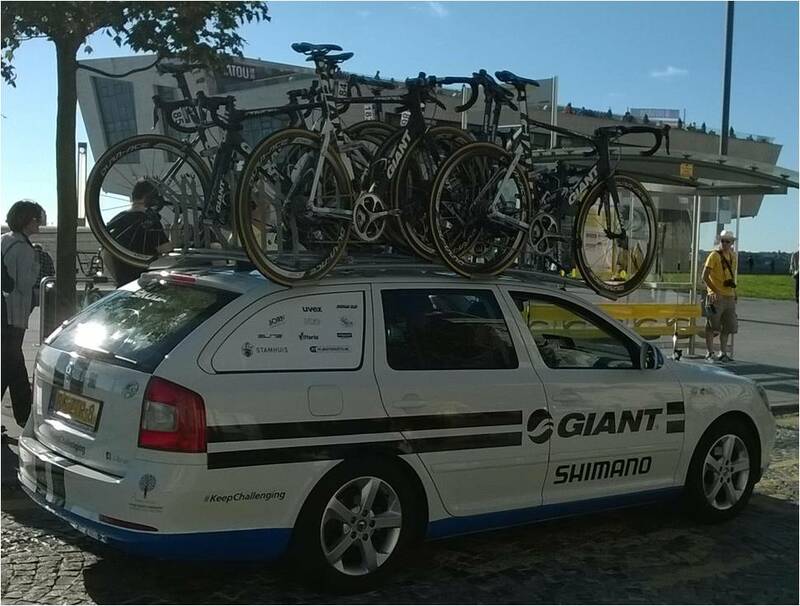 Of course the bikes are marvels of light-weight engineering and make excellent everyday engineering examples for students but we were more fascinated by how the teams tessellated eight or more spare bikes onto the roof of their support cars that cruised along behind them! For Everyday Engineering Examples in Dynamics see lesson plans D6, D7 and D11; and in Mechanics of Solids see S2, S3, S7 and S8 for a unicyclist! 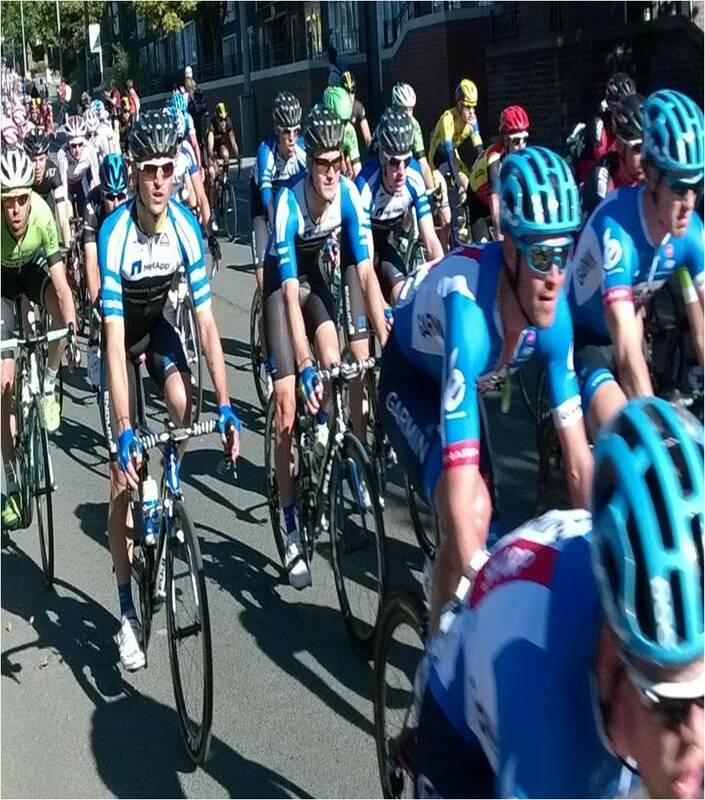 This entry was posted in everyday engineering examples, Uncategorized and tagged bicycle, tessalation, tour of britain on September 10, 2014 by Eann Patterson.